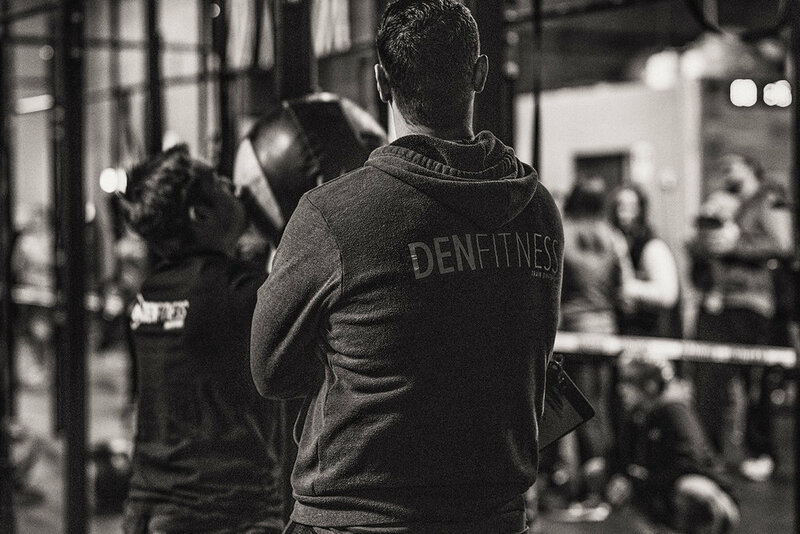 We are a premier CrossFit facility that has been focused on developing our community’s Health and Wellness since 2006. When you walk through the doors, you are part of the family. This is a place where people can come and feel welcomed and loved from Day One. Health and Wellness is a daily commitment to yourself. We must pay our dues and learn to love doing hard things and enjoy the journey of becoming the best version of ourselves. You can’t change the past, but you can change the future. It matters that show up everyday, work harder than yesterday and encourage those around you to do the same. The quickest way to connect with us is via email. My first day felt like I was already part of the family. Best box in the valley, love the facility and the people around you are very motivated. Definitely felt like my 2nd home. I LOVE The Den! The atmosphere is high energy, encouraging, and family friendly! Plus, the workouts are amazing! Discounts for police officers, fire, paramedic, teachers, students, and additional family members.